It was a long spring for Andre Roberson. The summer seems to be passing by a little bit quicker, and for good reason. The season, and his chance to compete again, are right around the corner. Recovering from a ruptured patellar tendon while the Thunder still hunted for playoff positioning all of February, March and April tested Roberson’s patience. Even more frustrating was watching his team fall to the Utah Jazz in the first round of the postseason. Roberson grew a beard, gritted his teeth and went through rehab. He’s been poked and prodded, evaluated and re-evaluated. At the beginning of August, he joined some teammates in Los Angeles for informal workouts, participating in what he could. A couple weeks later, he ran. He didn’t get very far, but that’s because his sprinting came on a high-speed treadmill. 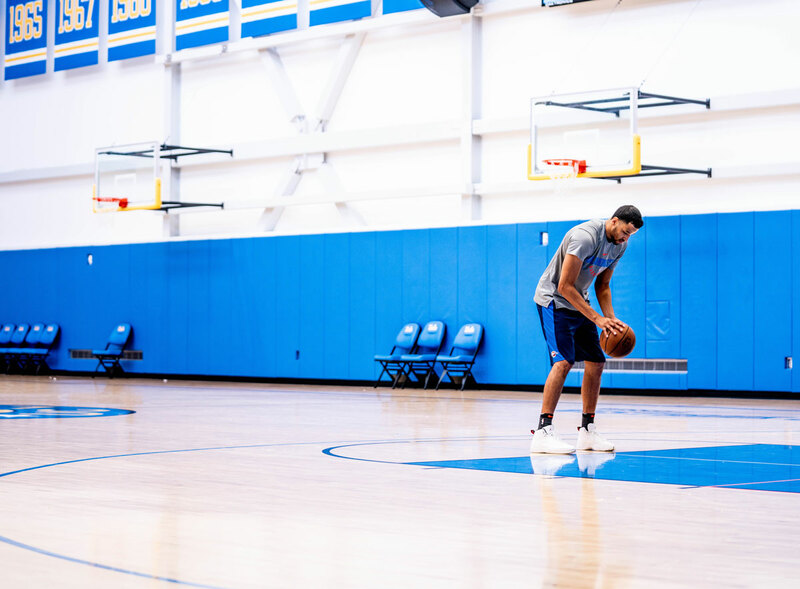 It was a proud moment that Roberson showed to the world on Instagram, and a sign that even if Roberson isn’t completely back to 100 percent, both his health and his confidence are heading that direction. At the end of the season, the Thunder shooting guard and defensive whiz said that his goal was to be playing “carefree” to start the 2018-19 campaign, and that he believed he was on track for that. Thunder General Manager and Executive Vice President Sam Presti echoed that sentiment earlier this summer, saying that Roberson’s long-term prognosis was “excellent”. 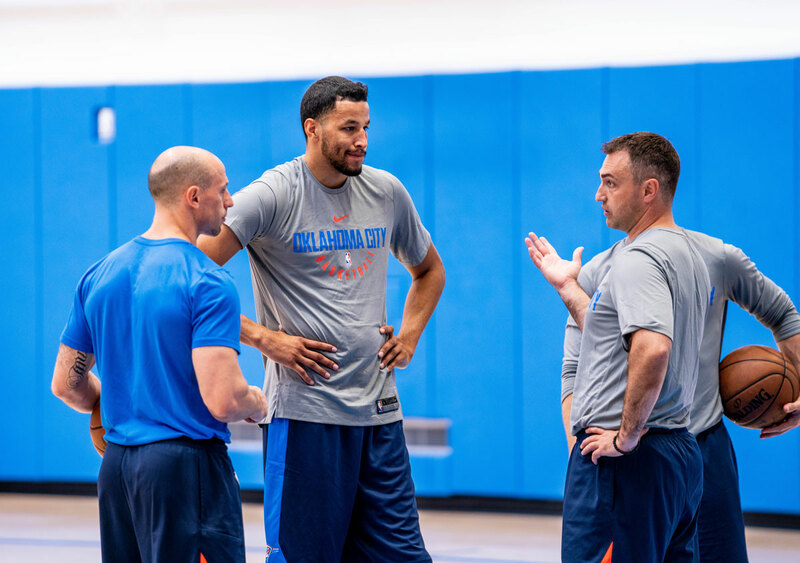 The Thunder’s plan was to never push Roberson to do more than he was ready to do during the course of the rehab process, and that goal remains the same as training camp approaches. 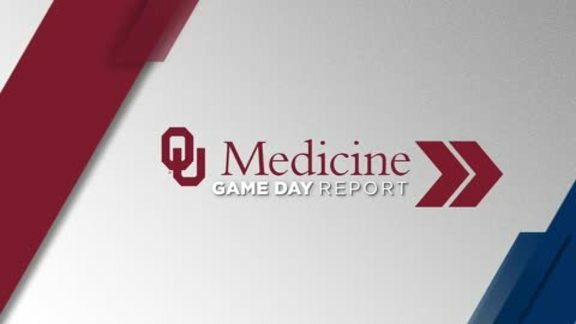 The team and its fans saw the impact Roberson made both on and off the court last season, and his long-term health is critical to the organization’s chances for a postseason push. The numbers don’t always tell the tale, but Roberson’s 1.2 steals and 0.9 blocks in 26.6 minutes per game last season were signifiers of the presence he has on the court. The hawking and shadowing of the opposition’s elite scorers all night long has an even greater impact than the box score can show. At the time of his injury on Jan. 27, Roberson was one of the frontrunners for NBA Defensive Player of the Year. “I'm really excited for him to get back on the floor. I think we all know at this stage how important he is to the team and just what his size and length, and I think just his fiber in general, what it means to the team,” said Presti. “We clearly were an extremely elite defensive team with Andre out there,” Thunder Head Coach Billy Donovan echoed. With a backcourt of Russell Westbrook, Paul George and Roberson on the floor in the starting unit, the Thunder’s defensive prowess was amongst the best in the league. In fact, up until Roberson’s injury, Donovan’s club was averaging the most steals per game (9.5) and had the fifth-best defensive rating in the NBA. Allowing just 103.1 points per 100 possessions, the Thunder stayed in games and gave itself a chance to win late by locking down early and often. The defensive numbers weren’t there for the Thunder once Roberson went down, and though the team itself already understood what his presence meant, that view crystallized for fans in the closing months of the season. With the length, size, ability and knowledge that Roberson brings to the table, Thunder leaders are confident that with a fully healthy group the team can reach that level again. Without Roberson last spring, the defensive load got re-distributed, and that’s a tough ask for players like Westbrook, George and Steven Adams, all of whom already have a lot on their plates. There are no excuses, and after the season the Thunder front office and coaching staff admitted the team didn’t do a good enough job recovering from Roberson’s loss. The team is determined to do better if faced with a similar significant in-season change this year. “What this organization is about being resilient,” Roberson said. With Roberson back in the fold, the ability to commit and deal with the in-game chaos will be much more straightforward, allowing the Thunder to play to its identity for all 48 minutes. 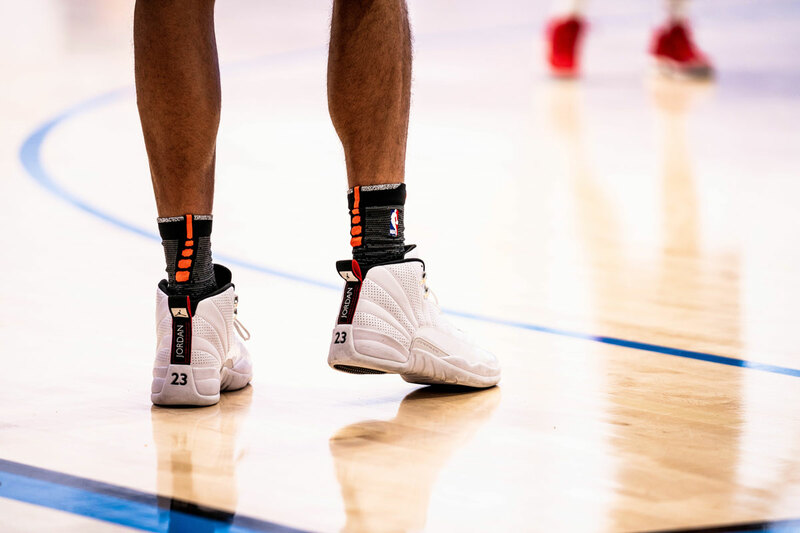 Andre Roberson in the Air Jordan 12 Retro "Rising Sun"